G'day guys, new to this site and can I just say a wealth of info available, it's great. Anyways, I'm just commencing a Bj and the Bear replica but my truck knowledge is piss-poor, I'm a helicopter man but I have loved the Bj K100 since I was a kid and have now taken the plunge and attempting the build! I have 2x revell K100's, an ERTL great dane reefer trailer with side door and loads of goodies from Auslowe & KFS. These include stacks, fuel tanks, 2-hole buds for the trailer, air horns, fenders and alloy rims. The rims, particularly the front 10-holes I was a bit disappointed with and was wondering if anyone had any alternatives? Somewhere I read about Ben Wicker? How do I find him or his site? Here's the ones I purchased. My issue is with the centre part of the rim surrounding the hub. It looks to big and the wheel nuts too small or something. Or is it just me? I saw some Ben W rims on a build here and they looked far superior. Ben is a member here, he goes by the name.."Ben" His wheels are far superior to those aluminum ones pictures above. To me those aluminum wheels, the center is far to small surrounding the hub., and the lugnuts are far to tiny. Sourkrauts is a truck part dealer. The thing is, most of the mo'luminum stuff arent in stock, so you might need to get Jamie's contact details to get them directly. Hi Chris, Ben here. Thanks for the compliments! 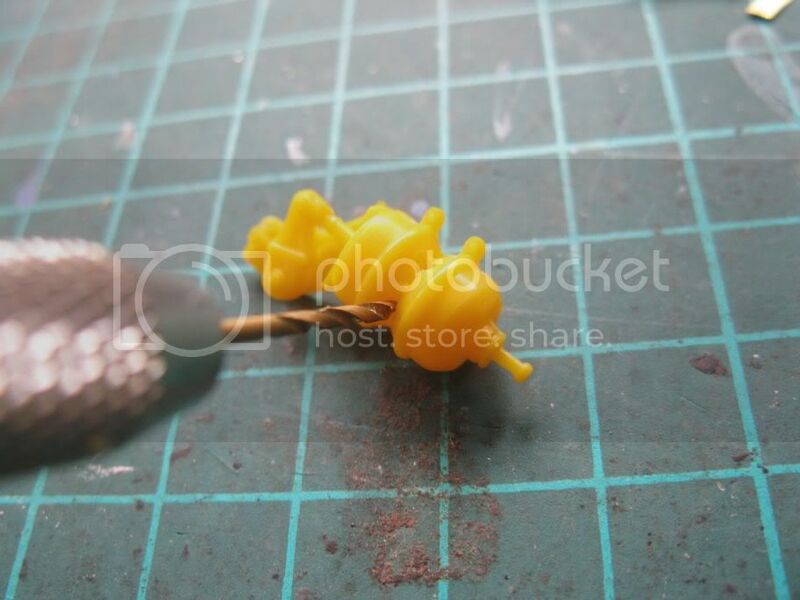 You can see some of the wheels i've mastered on my Fotki site. 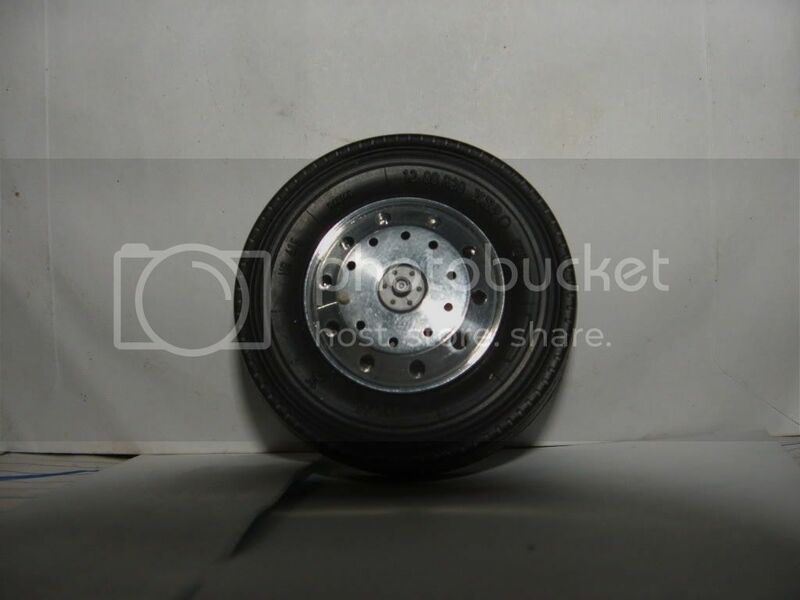 Have a look at the folder titled "model truck wheels"
The trailer will require some heavy mods to make it a brown Co trailer but I've got a few ideas. Also trying to find out if anyone does trailer door hinges, working ones that is? Or am I starting to dream now? That site should help with reference. 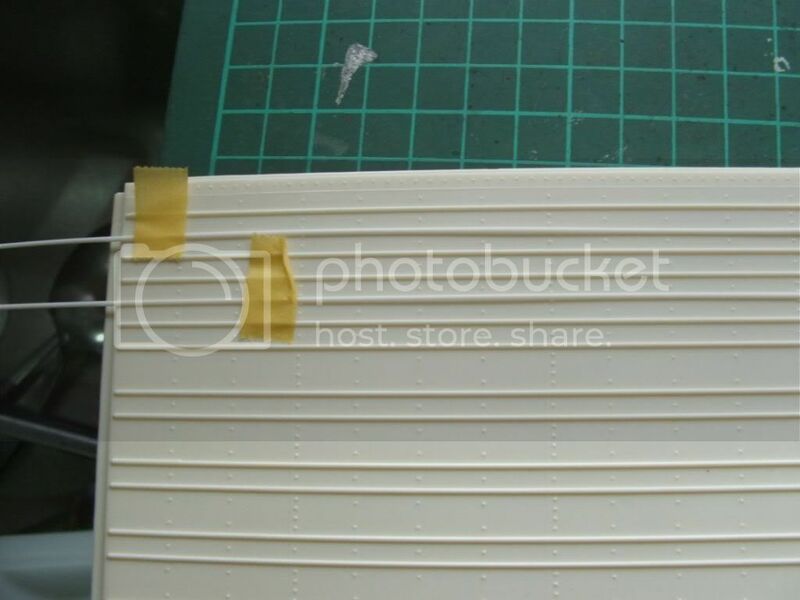 The fans are available in the aftemarket as photoetch items, although they are part of some White Freghtliner photo etch deatil sets I've seen. Yes they are. I think Ben showed them on MTDG and MTBG, the grille was outstanding! Hey Anthony, pardon my naivety but what is MTDG and MTBG and where do I find them? 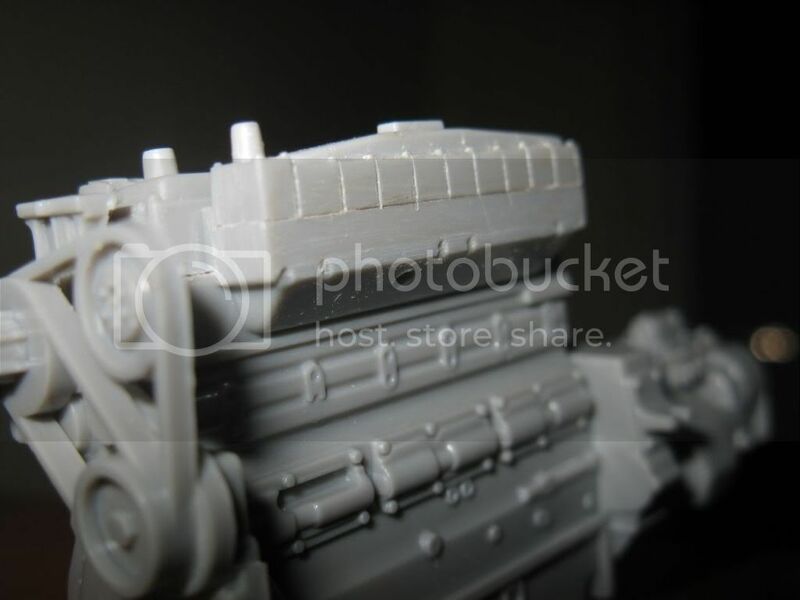 Once I get the chassis painted, I will start posting pics. On the trailer issue, I found that the best trailer to use is an old ERTL great dane 40' reefer trailer with side door, it will will require the least mods to make it a Brown Co trailer which the BJ rig used. 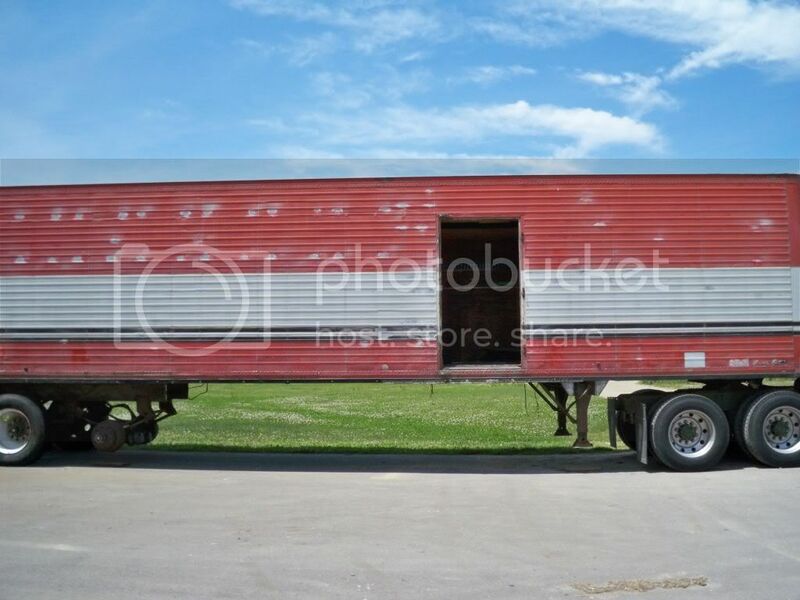 The rear will need some heavy mods, I've got some 2-hole buds and also some evergreen brand 040' half round plastic strips to make up the extra ribs on the sides of the trailer. here's a pic of one of the originals. 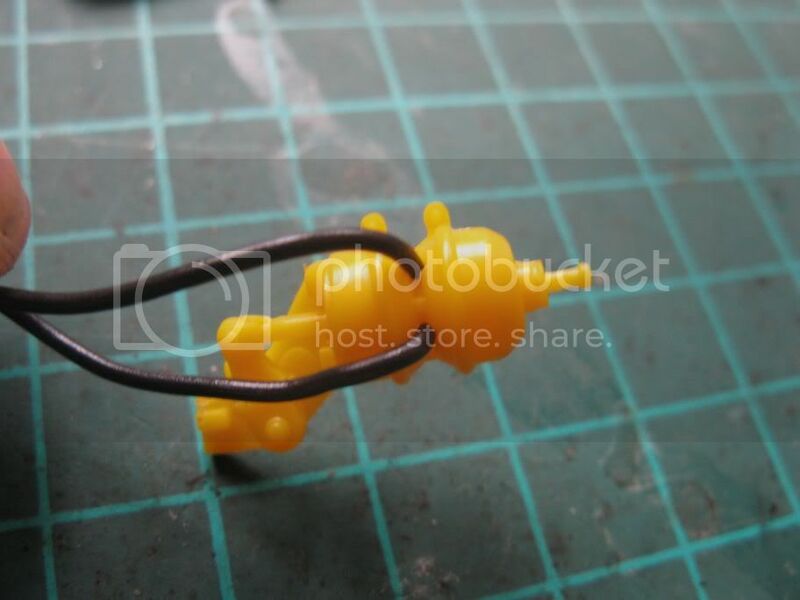 And this is what I'll do to add the ribs to the ertl trailer. Your pix aren't showing up for some reason. Good luck on the project, though. 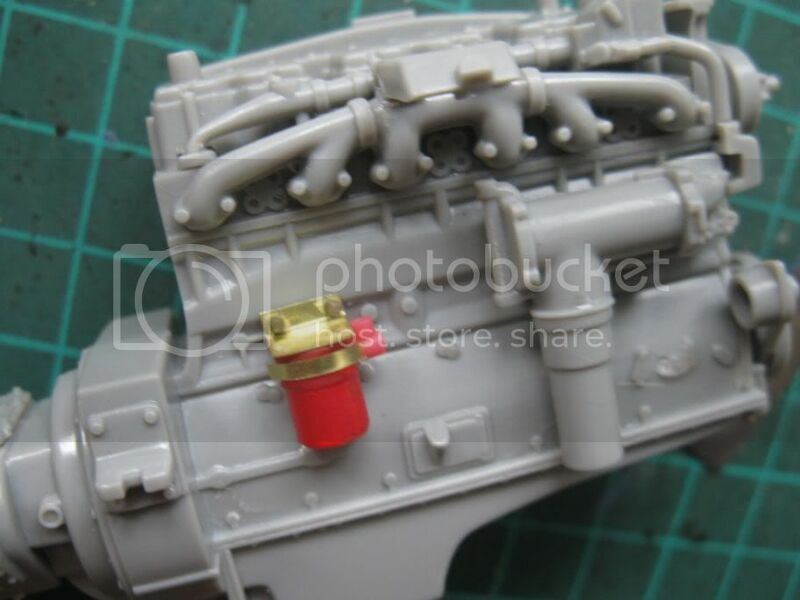 I know pretty much all the chassis and components are red in colour, but does that include things like shockies and springs? Finding it hard to find good cahssis pics of that sort of stuff. I would say with the rest of the chassis being painted red, you would be safe with painting the springs red, too. The only difference would be if the rear suspension has air bags, then the air bags only would be semi gloss or flat black. As for the shocks, it would really depend on if you are building it as a factory fresh truck or one that has seen some miles on the road already. The shocks are usually installed before paint at the factory, so a freshly built truck would have the shocks painted the same as the frame color. On a road used truck that has been driven long enough, the shocks could have been replaced, so the replacements would be painted whatever color the replacement shock manufacture uses. Hey Chris before you glue those half round strips to the trailer sides, take a long straight edge and a very sharp pencil. 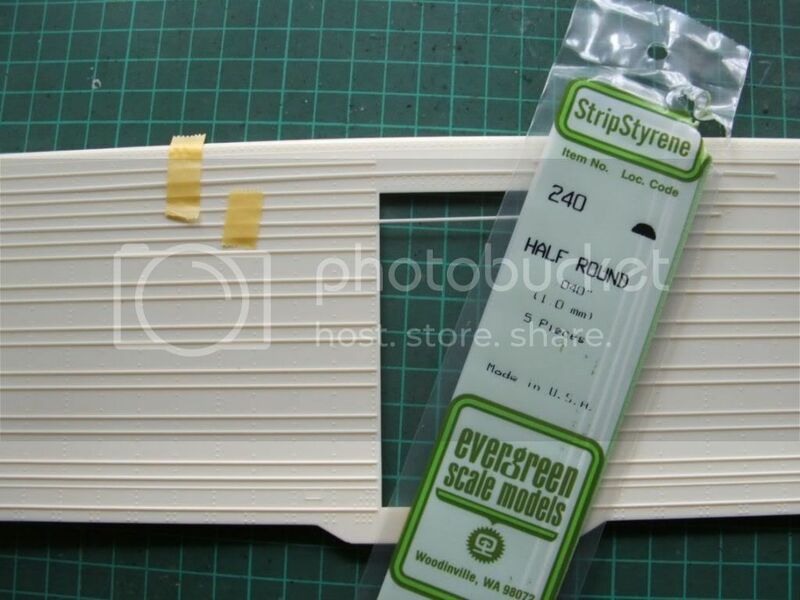 Place the edge of that straight edge where the side edge of your half round strip needs to be and draw your straight line. Now you will have a line to place the edge of the half round right up too as your gluing it in place. That should keep things straight and even. Hey Chris, usually the suspension would be painted after assembly on the real truck. They would take the wheels off and basically spray everything red. You can however, paint the shocks a different color to break things up. Giving the impression that they had been replaced after the truck was painted. Thanks guys for the hints. 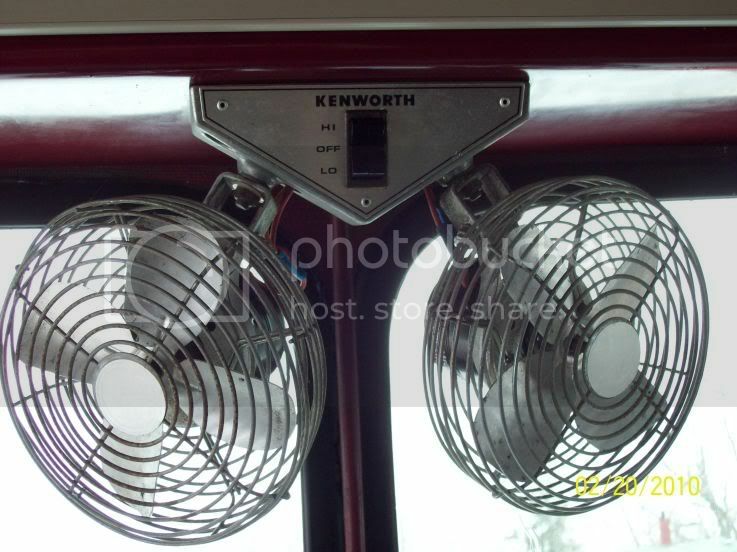 I am still deciding as weather to do the rig as factory fresh or showing some wear, maybe I could do two! Think I'll do this one as near factory fresh. 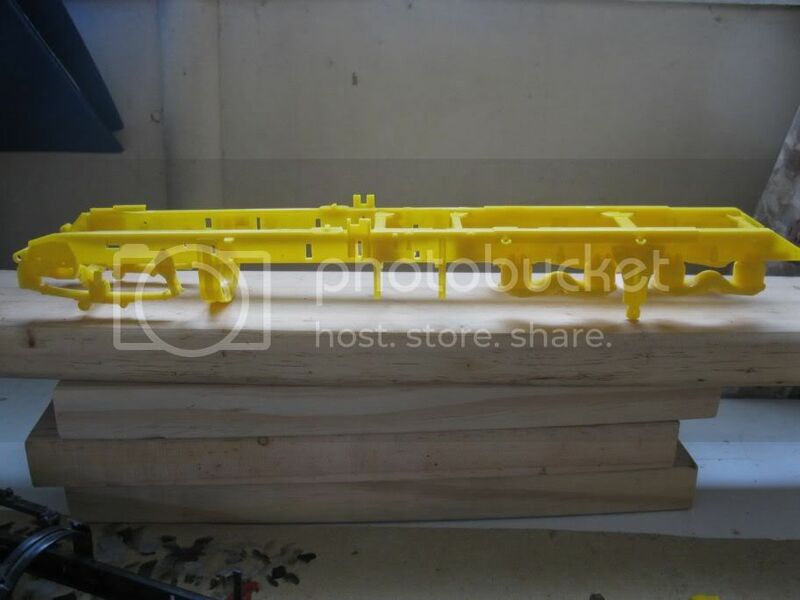 Have you tried making a jig for all the rib's. Great job too. Just a small update. Still waiting for my new airbrush & compressor so no painting yet. 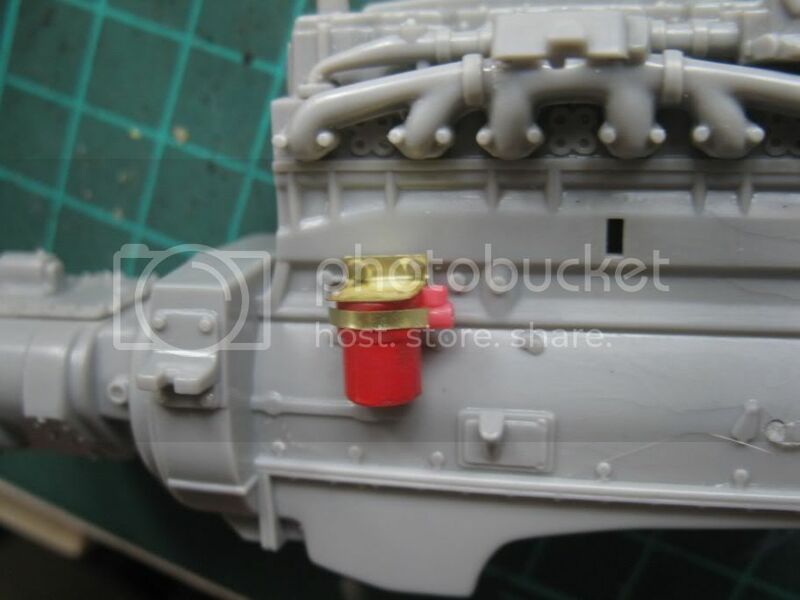 Just fiddling with some plumbing and engine detail. Bj's rig had a NTC400BC cummins which luckily as far as I can tell is what came in the kit! Just adding and dry fitting filters etc. As I said, nothing painted or glued in place yet, just dry fitting to see what it looks like. Tips welcome as I am no truck aficionado! Chassis partly assembled. Springs will need lots of putty to seal the joins. Lookin good Chris!!!! 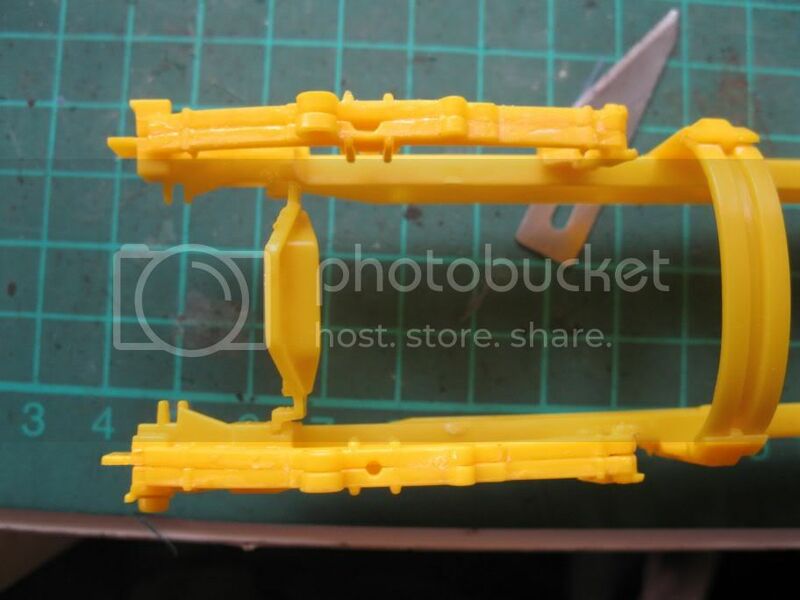 I need that yellow chassis!!!! So busy lately not much time to spend on build of late, just a bit of mucking round with the cummins cylinder head today. 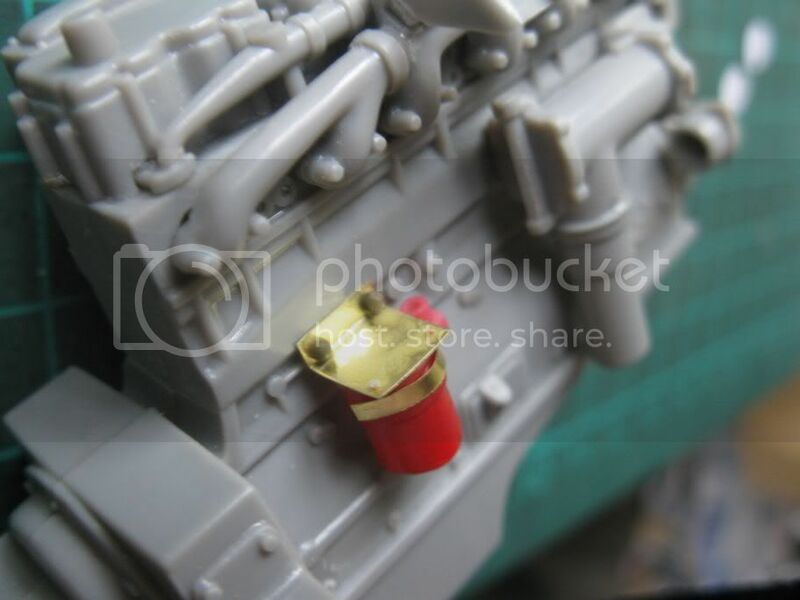 Can anyone tell what the factory colour of this engine was? Tan maybe or some sort of light sand/brown. 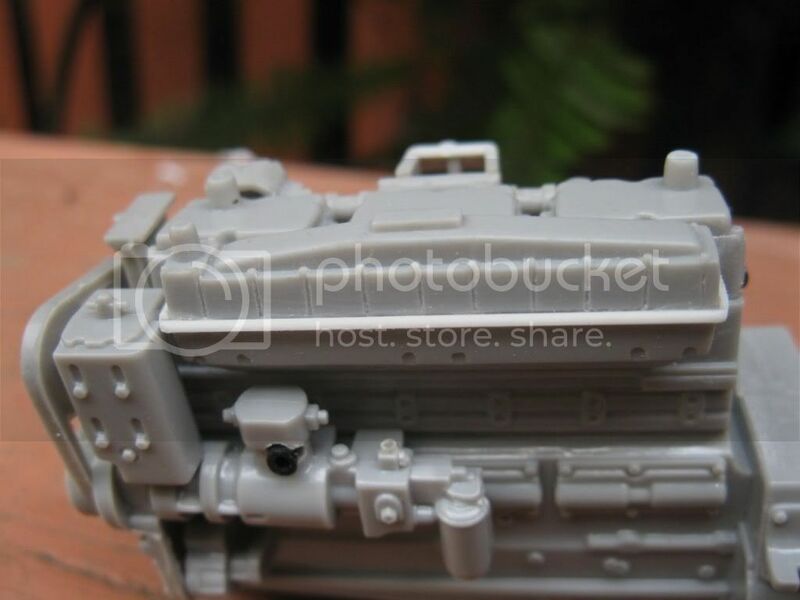 The engine as fitted by Kenworth would normally be painted white. 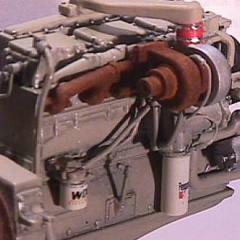 The beige colour is Cummins colour for their engines at that time. 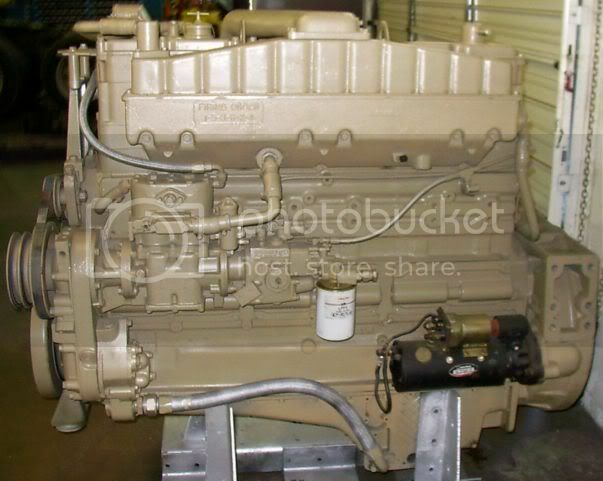 If you see an engine painted beige chances are that its been overhauled by Cummins. Hey thanks Dave, I'm pretty sure the Bj rig had this beige colour, quite hard to find pics of it though but I will go with that. By the time the BJ&TB truck was built, Kenworth had was no longer installing white engines. 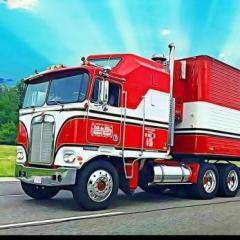 Peterbilt continued for a few years after.